And this month's Featured Band is... twenty øne piløts! It's been exactly one year since their album, "Blurryface" hit stores. 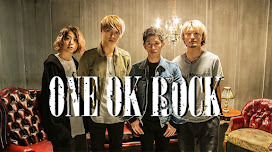 And the band's success seems to grow with each passing week. The album's third single, "Stressed Out" has since become a crossover hit on mainstream charts. Can TØP be stopped? Nope. To see last month's featured band click this (link). And to purchase TØP's latest album, "Blurryface" on iTunes click this (link). Before becoming the international sensation they are today, the band started out playing much smaller shows in their native Ohio. It wasn't until a soldout concert at Columbus' Newport Music Hall that twenty øne piløts began to attract the attention of record labels. And in the end, it was Fueled by Ramen who won out. The band was signed, and then began work on their studio debut. 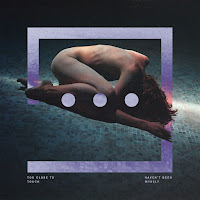 The album, "Vessels" was released on January 13, 2013. Half the songs on "Vessels" were rerecorded from their sophomore effort, "Regional at Best", including singles "Guns for Hands" and "Car Radio". The latter of which has proven to be one of the band's strongest songs. TØP's eclectic style is the main factor behind their massive success. You can't put them in any music genre. 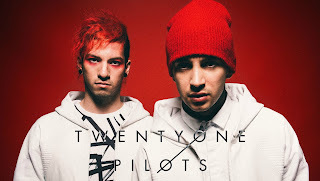 Though their sound varies from their debut to "Blurryface", overall it's a mixture of hip hop, alternative rock, emo-pop, electronic, and indie rock. Truly unique, and impossible to reproduce. Say they belong in mainstream, or with the Warped Tour circuit, they're all over the place with their accessibility. Which is pretty impressive given they're "Schizophrenic" style. The band's lyrics are another gem. Written first as poems, then altered to fit the music, they're able to convey stories and relay feelings better than most artists. Some might get turned off by the combination of rap and more pop oriented singing. So we'd recommend that before you judge solely on what you hear, just read some of the lyrics. Lines like, "I was told when I get older all my fears would shrink, but now I'm insecure, and I care what people think", and "Am I the only one I know, waging wars behind my face and above my throat?" are sure to get you right in the heart. Their music coupled with their live shows makes them one of the most progressive music acts today. Headed by Tyler Joseph's unconventional style, he makes TØP's live performances especially memorable. From his interaction with crowds, to the waves of energy you feel in the crowd. And then there's Josh Dun's crowdsurfing while drumming. Awesome doesn't even begin to cover it. This is one of those once in a lifetime kind of bands. In the years to come, we're willing to be there will be dozens of bands trying to duplicate their sound. But twenty øne piløts can't be beat, simple as that. 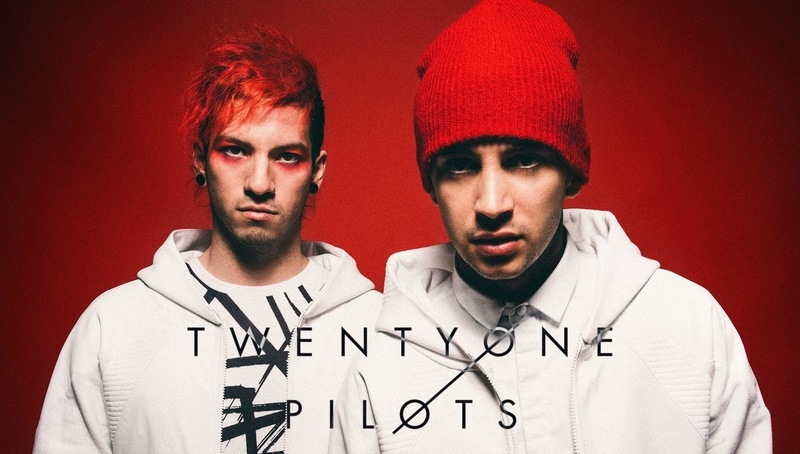 Recommended tracks for newcomers include: "Car Radio", "Migraine", "Semi-Automatic", and "Guns for Hands" from "Vessels", and "Heavydirtysoul", Tear in My Heart", "Lane Boy", "We Don't Believe What's on TV" and of course "Stressed Out" from "Blurryface".